*Zero 1: Recalculations being made. Internal priorities being respected. Freedom not to notice specified lines. Free Will Honoured. Pleiades 1 in direct contact with Terrans. Specific session ended. Packages delivered. Conclusions with heart. *Alfeus in temporary support merge to NE. PVSE inviolable. Primary Strength in strong guarantee and support. Local MiD “assisted” by *Sentinels. Reopenings of unauthorized closures. Terrans authorized in accessing internal passages. Information collected and relayed to the surface. *Allies X – Unauthorized third parties on the road in Portal 12 >>> EpNus. Immediate blocking. Reallocation to the SEC Zone. Inspirations for new SELF are shown! Alignment being completed. Reverb started in shortly linear (time). Irradiation *ACONCAWA at 69% (non-regressive). New Islands in synchronization started! 22% (non-regressive). Magnetic Protective Barrier of Zero i being created. 29% (non-regressive). Negative Conductors: positive discharges initiated – first local movements – 37% (non-regressive). Magnetic Island: Magnetic Crystal / SEVENTH LAYER: 7/7 = 100% = SERIOUS magnetic shock. RED ALERT! Attention all Avatars and the like! Aim projectors to the Magnetic Crystal. Immediate Support! RED ALERT! MiD in Magnetic Crystal Approach >> fragility of layers! EXTRA signs continue to be given to Terrans! 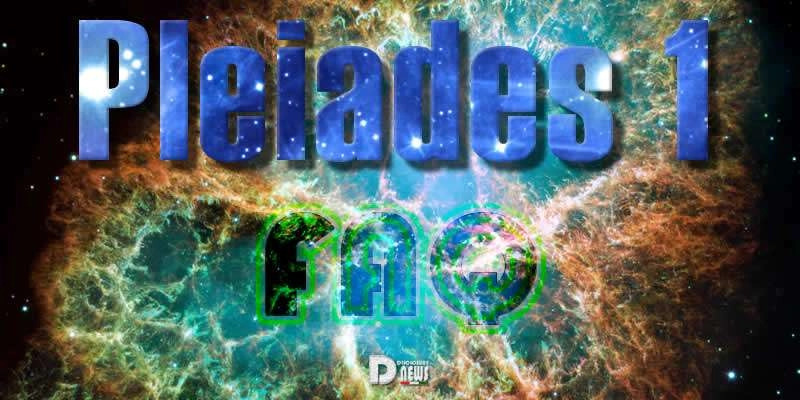 Plaiades 1 in Data Delivery (updated). Terrans, attention to quantum assimilation! Terrans are invited to travel deeper. GIFT deliveries happen. Izushs recreating area in Point 1 (Antartica). Leadership transfers at appropriate points being initiated. *Allies X – Transport of regenerable *MiD authorized to CLAX1. MiD 12 >>> reinforce security. Damper blocks being delivered. Inner instruction will be given. Main PC infected at 100%. Activation of change protocols in a timely manner. Security guaranteed. *Hamalayus seek attunement of WONDROUS waking! Packages being sent! 29% (non-regressive). *Manoliah receiving appropriate data for specific anchorage. Attention! Attention! 27% (non-regressive). Attention *Shimmering, The Storytelling Fairy! Immediate call coming up! Required Master Projector Support: Synchronization Started … 52% (non-regressive) – Start support. *Eliar Flours, The Artist! Immediate call coming up! Required Master Projector Support: Synchronization Started … 69% (non-regressive) – Start support. Izushs in action in Point 1 (Antartica). Zero i: new Perceptual Field expansion. Immediate reverberation. Alignment being prepared. Magnetic shots will be effective! The Light Celebrates! Attention *Alfeus! Immediate Call to Seven Terran Plans! Attention *Silvestra and Lunares! Immediate anchoring of Lunar Projections for current transformations! *Primary Internal Rebellion Sector 9 – Specific environmental awareness in 29% non-regressive. Those plasmatic supporters being deconstructed. *Laliaia, The Prophetess of the Seven Plans recognizing origin! *Allies X – Special activations are started for transitional guarantees. Recognized New Star. Magnetic Supporters present. Those who were returned in Mastery. The heavens sing! Attention *Crystal, The Magnetic Fairy of the Thousand and One Faces: Crystals of Time delivered! Reverberation 52% (non-regressive). Pro-Love on the surface 78% (non-regressive). Exhibitions continue! *MiD are not allowed to interfere. Attention *Laliaia, The Prophetess of the Seven Plans, prepare for receiving data! *Zero i: Deep recovery after dive will begin. Crystalline Treatment and Cauterization in linear period. Final *MiDs at Point 1 (Antartica) being removed. Confederate Resistance present. Cetaceans in process of upload (PHASE 2: FIRST MOVEMENT FINISHING) – 29% (non-regressive). Terrans prepare to receive. Attention! *Local Allies receiving credentials. Reverberation for *Systemic Allies. Download started – STAGE 2 >>> 49% (non-regressive). *Shenion, The Analyst, on a visit to *Sector S3T. In 100% (non-regressive) breakdown. Anti-love presents in attempted violation… COMPLETED WITH SUCCESS! Evaluators deliver keys for reconnaissance and reopening. Internal Disks authorized to external overshoots. Ambiences in pacification. *Allies X – Special drilling starts in authorized zones. Attention *Laliaia, The Prophetess of the Seven Plans, projections sent to the Terran Plan! *Zero i in system of inevitable defense: 100% on guard. Possibility of reopening FLOR in current line >> 19%. (non-regressive). Prophets are called for immediate anchorage! Good times should be seen! Structure for New Human almost ready. Zero I: Collateral of 6 inevitable jumps >>> FRAGMENTED SUBLIMATED >>> Some sublimated moments in oblivion. Attention *IUD-IL: Review of data delivered. *Zero i: conclusions of high tasks finalized. Pause for reworking required. EXTRA signs are given to everyone. *MiD inquiries for faulty leaks! *Eliar Flours, The Artist! Immediate call coming up! Required Master Projector Support: Synchronization Started… 58% (non-regressive) – Start support. *Caiel/Coiel manifested! Pleiadian lines attracted for renovation ! : 44% (non-regressive) renovated! Elevated terrans restore renovating portals. Regenerable MiD delivering special packages to Regenerators. *Zero i: Activation >>> MAGNETIC Empowerment / Leap 6 at 9:12 PM 17/12 linear! The Light Celebrates! (Great Collateral: temporary disconnection from reality). Ashtar(ians) nuclear attempt. The Light Celebrates! *Aiakalw (Auleu-Elulios-Loviw & Eialow-Loya-Low): REVERBERTION 1008 INITIATED! 56% (non-regressive). 1722 (V5) >>>>> HIGH INFINITE. 78% (non-regressive). First intensive. Larger body parasites begin to be removed. 41% (non-regressive). Zero i: Expansion of horizon and EXPONENTIAL MAGNETIC FORTIFICATION from 6th! Attention all Avatars and the like! Pleiades 1 delivering special packages! Solar Radiations rebuild the “non rebuildable”. Attention Terranos for level A radiations. Crystalline acceleration unavoidable. Angelics guarantee harmony of Primary Rebellion. Internal *Primary Rebellion in Sector 9 – Awareness of specific environment at 22% non-regressive. *Zero i: Activation >>> MAGNETIC Empowerment / Leap 5 at 9:12 PM (Brazil Time) 17/12 linear! The Light Celebrates! (Great Collateral). IUD-IL: Leap 1 in progress. Wide anchorage and support for 7. Afflicted people recognize reasons for Affliction. Healing protocols sent: 2ZCASHE. KANI in Martian Assistance: Magnetic Cleaning in progress… 68% (non-regressive). Old pipes no longer acceptable in convertible zones. *Zero i: Activation >>> MAGNETIC Empowerment / Leap 4 at 3:00 p.m. 12/16 linear! The Light Celebrates! (Great Collateral). IUD-IL: Magnetic wrapping movement at 9:00 p.m. Attention *Alfeus! P17 packages sund in soon linear! Attention for conscious reception! *Caiel/Coiel manifested! Pleiadian lines attracted for renovation ! : 39% (non-regressive) renovated! Festivities recognize the new times. Zero i: Serious collateral >>> 100% inevitable internal defense. *Zero i: Primary jumps completed, inevitable collateral present. Announced are expected with joy! Devotional movements bring joy to the open. Platinum delivering packages in soon linear. *Hamalayus seek attunement of WONDROUS waking! Packages being sent! 22% (non-regressive). *Manoliah receiving appropriate data for specific anchorage. Attention! Attention! 22% (non-regressive). Intense projections of *Titon – Apex >>>> 62% >>>> D * * * * * * * * * (Non-regressive). Attention *Shimmering, The Storytelling Fairy! Immediate call coming up! Required Master Projector Support: Synchronization Started… 49% (non-regressive) – Start support. Magnetic protective barrier of Zero i being created. 19% (non-regressive). *Zero i: Activation >>> MAGNETIC Empowerment / Jump 3 at 8:20 pm 14/12 linear! The Light Celebrates! (Collateral). Structured by New Times receive updates! *Zero i: Inevitable collateral. Physicality in frequency adjustment. People considered normal visualize “Happy Madness”! The Light Celebrates! *Allies X – New models being delivered. Volunteers are already available and reverberating! Line Leaps are gifts for everyone! Ashtar(ians) blocking nuclear sequence 2! The Light Celebrates! *Zero i: Activation >>> MAGNETIC Empowerment / Jump 2 at 20h20min 12/13 linear! The Light Celebrates! (Collateral). 12/12: Recalculator Light Bath completed! The Light Celebrates! Positive Recalculations Inspire Master Instructors! Terranos receive DIVINE GIFTS through recalculations! The Light Celebrates! Avatars Allies outside *PVSE deliver magnetic support. Alliances being made. MAJOR network being formed. (14). Irradiation *ACONCAWA at 63% (non-regressive). Attention *Alfeus, Projector P17 aimed – Tuning… 69% (not regressive). Attention *IUD-IL! *MiD field projecting! *Cadi-IL on Blue (Avians) support! *Zero i: High jump given. Flowering is a consequence. Zones for expansion are shown, as NEW HUMAN is allowed. Inspiring models disintegrating old fields! The Light Celebrates! Attention *Shimmering, The Storytelling Fairy! Immediate call coming up! Master Projector Support Required: Synchronization Started… 44% (Non-regressive) Start support. *Eliar Flours, The Artist! Immediate call coming up! Master Projector Support Required: Synchronization Started … 53% (Non-regressive) Start support. *Zero i: Activation >>> MAGNETIC Empowerment ON! / Jump 1 – The Light Celebrates! *Manoliah in recetion of appropriate data for specific anchorage. Attention! Attention! 18% (non-regressive). CENTRALS (Race) are close to Terran Plane. Qualified for execution of special protocols are chosen. Special conduits are requirements. *Caiel/Coiel manifested! Pleiadian lines attracted for renovation ! : 34% (non-regressive) renovated! *Aiakalw (Auleu-Elulios-Loviw & Eialow-Loya-Low): REVERBERTION 1008 INITIATED! 49% (non-regressive). 1722 (V5) >>>>> HIGH INFINITE. 71% (non-regressive). First intensive. Inverted points are healed and healing. *Zero i: Activation >>> MAGNETIC Empowerment / Jump 1 in 24 linear hours! The Light Celebrates! Attention *Manoliah! Projector Aimed with specific data! Next >>> Anchorage. The Light Celebrates! MJ: High alignments in progress. *Criterion Local Anomaly in dissolution 26% (non-regressive). *Eliar Flours, The Artist! Immediate call coming up! Required Master Projector Support: Synchronization Started … 49% (non-regressive) – Start support. Attention *Alfeus! P17 packages shipped soon linear! Attention for conscious reception! *Caiel/Coiel manifested! Pleiadian lines attracted for renovation ! : 32% (non-regressive) renovated! *Zero i: Activation >>> MAGNETIC Empowerment / Jump 1 in 48 linear hours! The Light Celebrates! *Manoliah manifested! Encrypted data is sent! Decryption in amorousness! *Zero i: 5th Akashic Projector aimed to evaluate support. 89% (non-regressive) – 100% by 52% EU. “Boats are sent for redemptions. Those who choose only helicopters can be disappointed”. *IUD-IL >>> TOTAL SUPPORT DELIVERY <<< THE LIGHT CELEBRATES! *Aiakalw (Auleu-Elulios-Loviw & Eialow-Loya-Low): REVERBERTION 1008 INITIATED! 44% (non-regressive). Questioned deliver revealing data. Collection 1 being completed. *Zero i: Activation >>> MAGNETIC ENHANCEMENT / Jump 1 in 72 linear hours! The Light Celebrates! Attention Terranos! Opportunities for unlocks sent as holidays gifts! *Hamalayus seek attunement of WONDROUS waking! Packages being sent! 18% (non-regressive). Removed protocols await for return. Security needs to be guaranteed. *Zero i in appropriate line jump: moment walk collecting UNIQUE magnetisms. Internal revolutions continue to happen. Attention *IUD-IL! New PACKAGES sent >>> Expansion and passport for jumps delivered. Stellar Guardians null waves of inverse plasmas! Ashtar(ians) uphold the inviolability of MASTER PROTOCOL. *Zero i: Activation >>> MAGNETIC Empowerment / Jump 1 in 96 linear hours! The Light Celebrates! Zero i in appropriate line jump. Attempts of inverted magnetic do not knock down LUMINOUS guides! The Light Celebrates! *Criterion Local Anomaly in dissolution – 22% (non-regressive). Appropriate sonic Zero i / Ashtar >>>>> *Jerusalem <<<<< Inspirational blocks delivered to ELEVATED listeners. *Zero i in inevitable system of defense: 70% on guard. *Primary Internal Rebellion Sector 9 – Specific environmental awareness at 18% (non-regressive). Arrows pointed as a threat dissolve in love! Attention *IUD-IL! New invader *MiD – Anchoring of the immediate “U” Shield. Illusions dissolve as ELEVATED signals are given! The Light Celebrates! Attention *Crystal, The Magnetic Fairy of the Thousand and One Faces: Crystals of Time delivered! Reverberation 48% (non-regressive). Connoisseurs of the Wonders remain silent. Attention *Zero i: Transmutation of calculated lines. Inescapable overload. Anomalous spaces in change. Magnetism recreating spaces. NOBLES counters being summoned! Attention supporters of projector “COUNTER”! NEW MOMENTS displayers come alive! *Caiel/Coiel manifested! Pleiadian lines attracted for renovation ! : 29% renovated (non-regressive)! *Aiakalw (Auleu-Elulios-Loviw & Eialow-Loya-Low): REVERBERTION 1008 INITIATED! 39% (non-regressive). 1722 (V5) >>>>> HIGH INFINITE. 67% (non-regressive). First intensive. *Zero i in timely visitation 2012/2013 – Important packages being delivered to *IUD-IL “Local”: ILLUMINATED! New CONTENTS are expected, revealed and reverberated! *MiD movements for anagramic triggering! Medium risk. Attention *IUD-IL! Supports needed to neutralize MiD action. The Rabbit delivering special package. Evidence of reality. *Misuk Base violated! The Light Celebrates! Transmutation in progress: 86% (non-regressive). Trumpets are heard as imminent calls! Blue Legions (Blue Avians) hover above maximum illusory zones. *Zero i: timely visitation 2012/2013 – Important packages being delivered to IUD-IL “Local”. White Queen found. Manifested on Terrano Plane. Wise confident *Hamalayus deliver real dreams. Paltinum delivering packages in soon linear. Base, Foundation and Sequence in alignment. Not temporary. *Zero i jumping simultaneous lines for renovations! Possible collaterals. Security guaranteed. Yaldabaoth in UNIVERSAL DISSOLUTION. 93% (non-regressive) – STAGE 1 – POTENTIAL FOR LAST! THE LIGHT CELEBRATES! Authorized visits in expanded sectors. Attention *CRANU-IDINI, appropriate time for reverberations and expansions. MJ in higher understanding. Immediate reverberation. Hatter found. Manifested in Terrano Plane. *Eliar Flours, The Artist! Immediate call coming up! Required Master Projector Support: Synchronization Started… 42% (non-regressive) – Start support. *Caiel/Coiel manifested! Pleiadian lines attracted for renovation! : 26% (non-regressive) renovated! Violets are seen in transmissible zones as emergency signals. Alice found. Manifested on Terran Plane. FAIRY TALES ARE REAL. WONDERFUL TESTIMONY! *Harbour Ranger: Imminent rediscovery. Attention for expansion. Greater Sun in field expansion. Attention Terranos for reception. Level 1. Ettiuita attention to receive important data. Immediate reverberation. *Zero i viewing extended frame. Expansion in progress. Neutralization of old fields in progress. *Criterion Local Anomaly in dissolution – 12% (non-regressive). Balance of high awareness recognized! Attention Solaris&Solaris! Immediate call for Solar Projection support 1 – Enlarged field! LEGION 9 See new Glossary Section LOCAL ALLIES and / or SYSTEMICALLIES Local means a local grouping, from a specific area where trusted being of the Forces of can be authorized to participate in high-level meetings. In these meeting the topic is about the Earth’s and Galaxies’ situations . These Allies are generally extremely ethical and incorruptible beings. The Systemic are, in a sense, the expansion of the Local as theidr duty is spreading the message they receive from authorized local. VANULA See new Glossary Section V5 See new Glossary Section VIRUS SINUS A code of Light placed in the negative matrix. In this case, specifically for the dismantling of the layers of negative plasma that prevent, or try to prevent the entry of pure Sunlight and / or the Forces of Light. It can even prevent the entry of telepathic thoughts of Light of the Supreme from the Higher Levels. The word “virus” is used because, in this case, causes an “infection” (positive) in the negative matrix and starts the collapse. This code, Sacred Geometry Microscopic is designed by Sirius A. VIRUS 1/7 MAGNUM Virus 1 of 7 within the fraudulent banking system – Function: Causing system malfunctions and preventing transactions via SWIFT and other fraudulent means of theCabal. A computer virus inserted by the Light Forces to gradually overthrow the old system and prevent the Cabal to continue to use the world’s money for their plans.